Ciao lovelies! 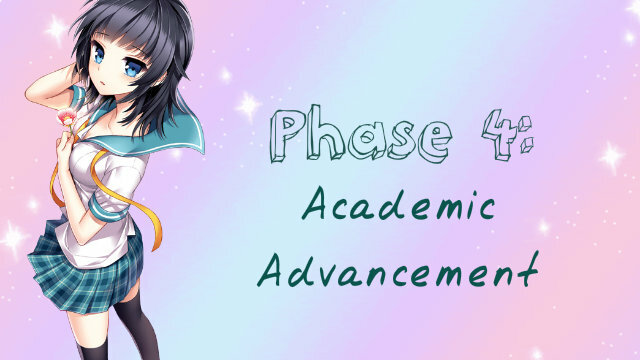 Today's phase of New Years Prep is Phase 4, Academic Advancement! This Phase is about preparing for second semester (college students) or just school in general, and is aimed to provide useful tools, skills, tips, resources, etc to help improve Academic Achievement! The most important part of improving yourself in any form is to set goals! You have to know what you're working towards to know if you've improved! In these three goals, we can see 3 different types of validity (the way you will be able to see your improvement). In the GPA goal, you can see the GPA change, reflecting your improvement that way. In the grade letter goal, you could see the resulting grade letter. And in the improving writing, you could either see this through personal reflection, teacher/professor feedback, or grades. My efforts in the next semester will be based around these goals! When I say agenda in this sense, I'm referencing having some sort of planner or physical agenda! Having one will help you to remain organised and focused. Now, you can either buy one of these, or make your own custom one to fit your custom needs. 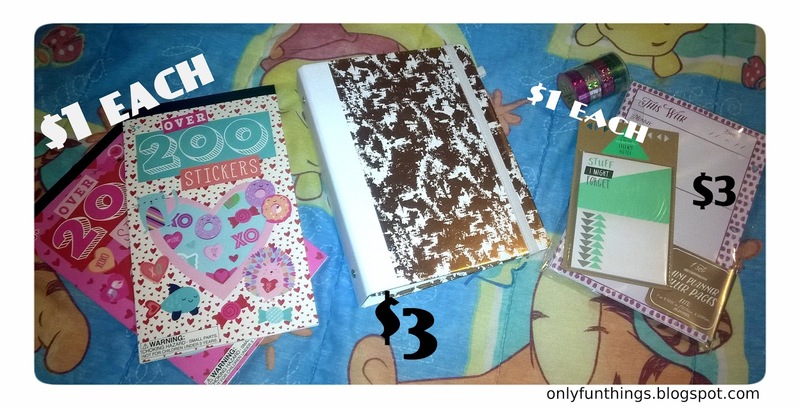 I bought all my supplies from Target in their $1-$5 section! The supplies I got were fairly simple, the stickers were a fun find at only a dollar each, the binder was $3, the washi tape and post its were also a dollar each and the planner pages were $3 for a pack that included month pages, week pages, and notes. Putting it all together was fairly simple, the hardest part of having a planner is the upkeep! The hardest part of academia is motivation! If you're like me, staying motivated for school is a hard task when you would rather be doing anything else than studying. So giving yourself motivation can keep you on the right track!! -Tell yourself "I can't go out with friends until I finish at least a page of this paper"
-For college students, don't let the extra free time make you idle! Use extra time in the afternoons to complete your readings for the next class BEFORE you go out with friends! -Get in the habit of going to every class, no matter if they count attendance or not! -Form a habit of checking blackboard every morning, noon, and night! -Make sure to check blackboard (or whatever online grading service your school uses!) I CANNOT stress this ENOUGH!!! -Having a good academic standing can help get scholarships, lower the cost of college, and get you to your desired career! However, it's important to remember that YOUR best is not the same as others! It's ok if your best isn't a 4.0!!! Having a 4.0 in college is absolutely crazy and veryyy difficult. Don't stress yourself over being perfect in college! You're there to gain worldly experience and a degree, you don't have to be perfect! My dears, I want to seriously stress how college is a different world from high school! Seriously, I got a 4.3 when I graduated high school and now here I am getting B's in college. DO NOT expect to be the same level of academic achievement in college! There is NOTHING wrong with dropping in performance when you get into college! Please remember that! I love you all and thanks for sticking through 4 phases! We have 2 left!